Unstandardized choropleth maps are a type of choropleth map that does not distinguish things based on a ranking system. For example, one color does not mean it is better than another color, it just means it is different. In this map of Afghanistan, the colors show the different languages that are dominant in that area. Unlike standardized choropleth maps, it does not represent colors based on levels, just different categories. 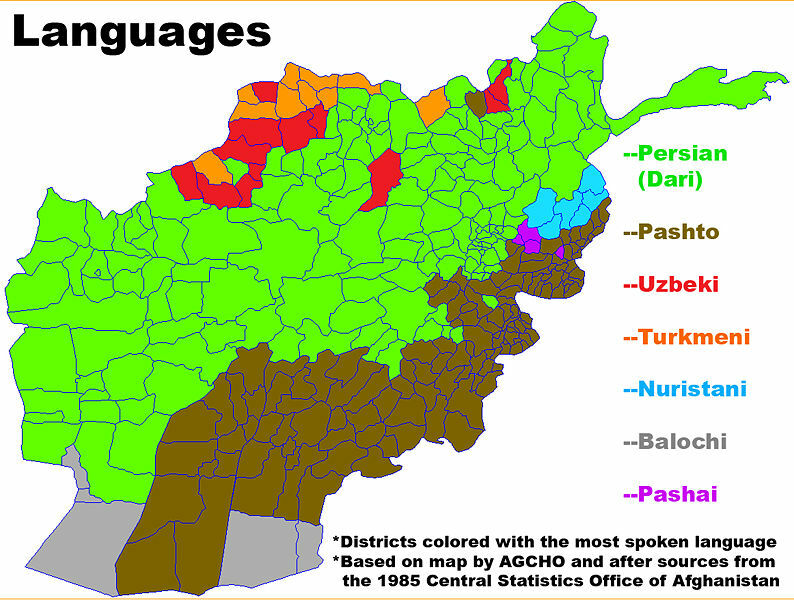 This map shows that the two most dominant languages spoken are Pershian and Pashto.